A Rolex Sea-Dweller 1665 like you see on these pages would be deemed as in excellent condition. It’s no longer worth debating whether something has been polished or not, but this one shows all its case bevels, some dents and dings consistent with wear and some minor crystal scratching. It’s an honest watch and that’s not terribly easy to find these days. It was a lucky find and I’m thankful. 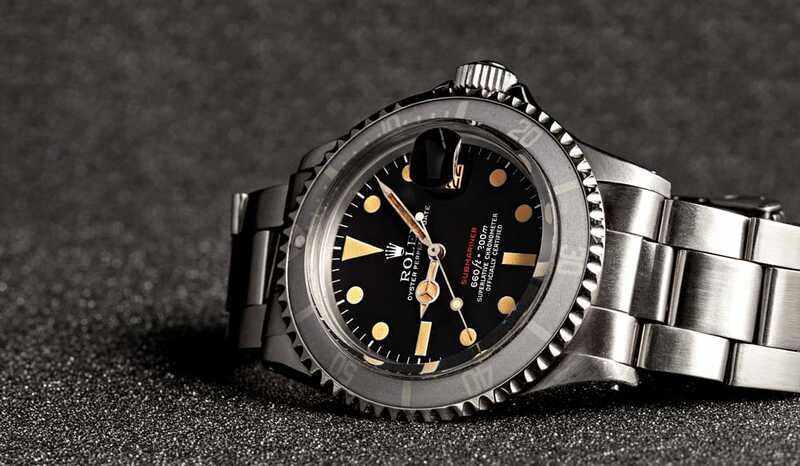 The Rolex Sea-Dweller 1665 belongs to the last period of time when Rolex made watches for very specific purposes: or, better said, when people truly had to use their watches for more than telling time. Case in point: Rolex made similarly specific models such as the Milgauss and Explorer II. To me though, a vintage Sea-Dweller represents the most audacious expression of Rolex’s pursuit for underwater dominance. And with that, I’ll wait around until a reclusive billionaire gives me a call with an offer to face my own volcano. Until next week…produced from roughly 1977 to 1983 and it’s notable for a couple things. First off, it gets its name from its all white text on the dial. Second, the dial denotes the Sea-Dweller line as its own instead of its former place within, or atop, the Submariner line. Aside from that, the watch is essentially the same as its predecessor and that, as I alluded to before, is something that’s substantially different when compared to the brand’s more typical dive watch. you see here is a one-owner watch from France. It grabbed a cup of coffee in Switzerland at a dealer before the Davidoff brothers plucked it on my behalf. Here’s an admission: I’d never held a vintage Sea-Dweller before this piece arrived. I’d read about the differences, but I didn’t expect this watch to be so different. First off, despite the same case size of 40mm, it’s thick – really thick. A thicker domed case back, a thicker mid case (roughly 5.4mm vs 4.4mm) and a taller domed crystal all add up to a watch that’s over 17mm(!!) thick. That’s roughly 3mm thicker than the Red Submariner I own with the top hat crystal. The mid case itself adds a millimeter on top of a standard Sub and that T39 Tropic Superdome simply towers at its acme.